Here is what you need to know about each city while considering where to live. Cyprus has 4 major cities these are Nicosia, Limassol, Larnaka and Paphos. Each with its own unique character. The following information may help you decide where you would prefer to live. Nicosia is the capital of Cyprus and is located in the north central part of the island. The population is approximately 186,000. It is the business center for many local and international companies. Nicosia is also the trading center for wheat, olives, almonds and fruits from the Mesaoria Plain. Manufacturers of tools, textiles, tobacco, pottery and leather goods are situated in the capital as well. Tourism is important and there is much to see and enjoy in the city. There are many historical sites as one would expect, from the city’s colorful past. 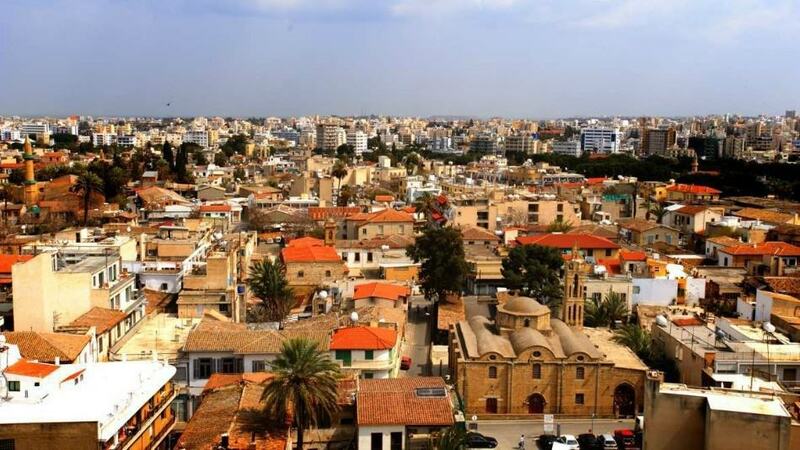 Nicosia was first mentioned in the 7th century BC when the city was known as Ledra. The Byzantines ruled here from 330-1191, Lusignan Kings from 1192-1489, the Venetians from 1489-1571, the Turks from 1571-1878 and lastly the British until 1960 when Cyprus finally became independent. Since the Turkish invasion in 1974, Nicosia is a city divided into two nations. The Green Line separates the Turkish Republic of North Cyprus and the Greek sector in the south. The famous Famagusta Gate built by the Venetians to protect the city still stands. Beyond the Gate is Laiki Geitonia, the old section which has been beautifully restored. Narrow stone streets with bright, cascading flowers greet you as you walk through the ancient paths. There are charming tavernas where you can enjoy a leisurely meal with one of the island’s famous wines. After which you can explore handicraft shops and old churches. Later, night life can be enjoyed close to the Famagusta Gate until the early hours. The Cyprus Museum contains priceless treasures from the Neolithic Age right through to the Roman era. At the Byzantine Museum you will find early Christian icons from the Golden Age of the Mediterranean. For a more modern approach, visit the State Collection of Contemporary Art. 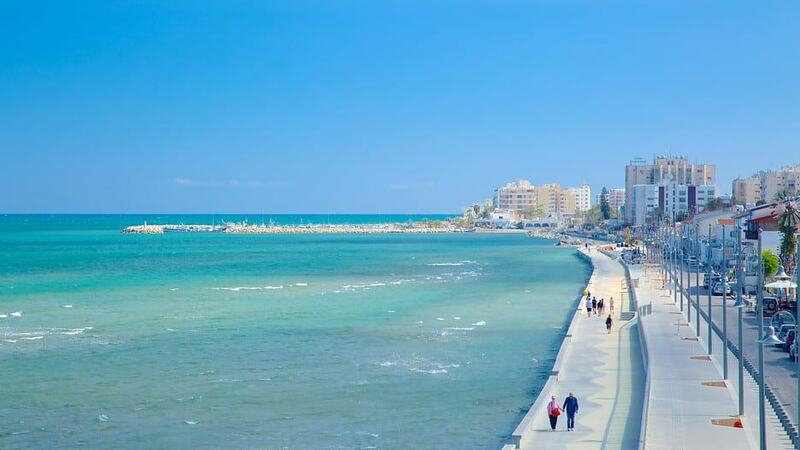 Limassol is the second largest city in Cyprus with a population of approximately 143,000. It is a major port and a popular tourist destination. The city is a commercial center, with many offshore companies. It is a cosmopolitan city and the Limassolians are very sociable. The Carnival celebrations are held here yearly as well as the Wine Festival in September which lasts for a week! The main tourist area stretches along the coastal road from Amathus to the Old Port and then on to the old shopping sector around St. Andrew Street. It is a lively seaside town with restaurants, cafes and nightclubs. The so-called Cypriot Riviera is located here with ten miles of glorious beaches. Limassol Castle houses the Cyprus Medieval Museum or the Folk Art Museum. On the coastal road to the east is Amathus, one of the ancient city Kingdoms of Cyprus. Kolossi Castle is 14 km west of the city, another medieval fortress and also an ancient sugar factory. The archaeological site of Kourion is 19 km west of Limassol, an ancient city kingdom. There are concerts and theatre productions held in the ancient Greco-Roman Theatre which overlooks the Mediterranean in this romantic location. The Sanctuary of Apollo is just a little further on. Limassol has something for every taste. 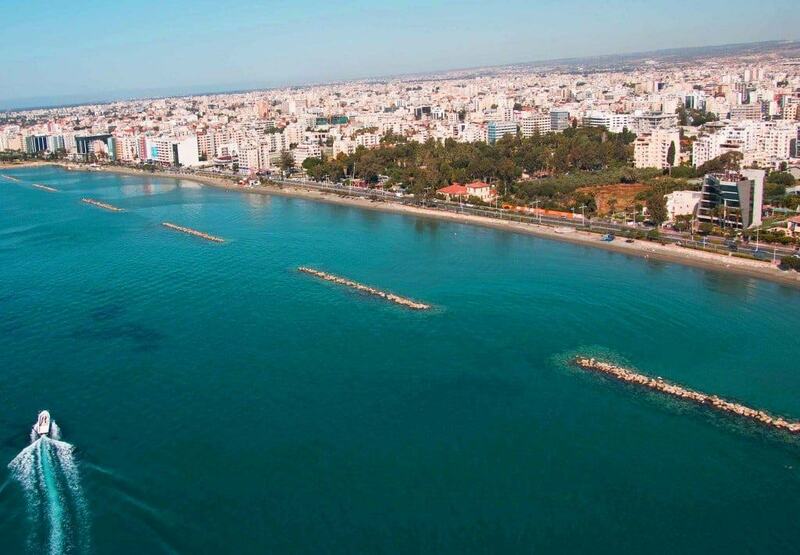 Larnaka is the third largest city but quite a bit smaller than Nicosia or Limassol, with only approximately 64,000 inhabitants. It is one of the oldest cities in the world. In the northern part of the city is the ancient site of Kition where the philosopher Zeno came from (335-263 BC). The church of St. Lazarus is located north from the fort, where Lazarus, as Bishop of Cyprus, lived out his life after his resurrection from the dead by Jesus. He is said to be buried in a crypt under the main altar. One of the two international airports of the island is located here, as is the harbor with yachts and sailing boats from around the world. Palm trees line the promenade with cafes on the seafront. The Larnaka Medieval Museum is at the end of the promenade situated in a 17th century fort. If you are interested in museums there are the Larnaka District Archaeological and the Pierides Foundation Museums to see, as well as an 18th century aqueduct. Paphos is a tourist resort situated in a small picturesque harbor. The population is approximately 40,000 and the second international airport is nearby. For those of you who are interested in history and archaeology it is an important site. Paphos also remains one of the greatest cities in Cyprus, in case you are considering to buy a property for investment. Check out the Properties for Sale in Cyprus to get an idea. Paphos Fort is at the harbor and was built by the Turks in 1592 on the site of a ruined medieval castle. The House of the Ancient God Dionysos is a 3rd century Roman villa, discovered in 1962. It is so named because of a mosaic of Dionysos, God of Wine. Excavations also unearthed Houses of Orpheus, Aion and the Villa of Theseus which had been buried for 16 centuries but are still incredibly intact. The Odeon Theatre is also here, used for concerts, plays and games in ancient times. In fact the whole town of Paphos is included in the UNESCO list of cultural and natural treasures of world heritage. Other sites not to be missed are the Baths of Aphrodite, the Fontana Amorosa or Fountain of Love. The Tombs of the Kings in Kato Paphos, which is a honeycomb structure carved into sheer rock. Close by is the stone pillar where St. Paul, is said to have been bound and beaten. The monastery of Agios Neofytos has some of the world’s most beautiful Byzantine frescoes and icons, as well as a Byzantine Museum. Check out this website for more Villas for rent in Cyprus.